The CW’s DC Universe is getting a little bigger—and a little more diverse. 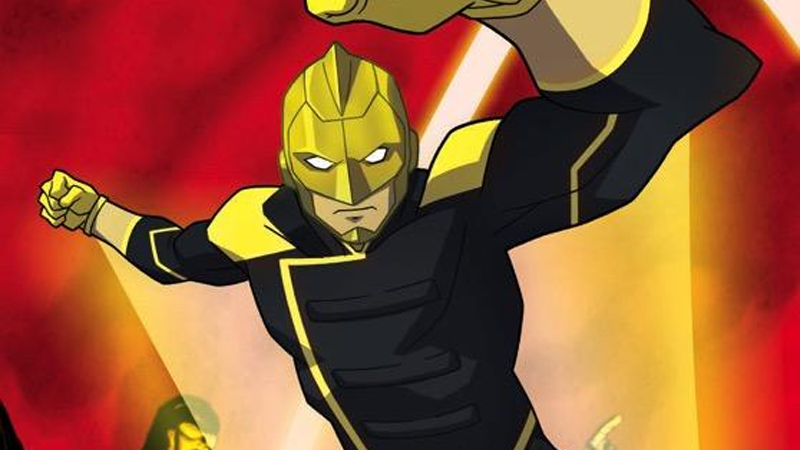 Straight from the channel’s panel at the Television Critics Association summer tour, a new animated series for CW Seed has been revealed: and it’ll star the little-known DC comics hero Ray Terrill, better known as The Ray. The Ray has been around since 1940, but the Ray Terrill version of the character, the second incarnation, first appeared in 1992. However, the CW Seed series won’t be taking inspiration from that 1992 comic, but Grant Morrison’s Multiversity, which took Ray’s superhero team—the Freedom Fighters—and updated them to better reflect the modern America they fought for, which included making Terrill an openly gay man. Ray will bring his light-based superpowers to Freedom Fighters: The Ray next year from Greg Berlanti’s production house Berlanti Productions and Blue Ribbon, the team behind the Vixen animated series. Presumably, just like Vixen before it, Ray Terrill’s animated adventures could eventually lead to him and his fellow Freedom Fighters into the CW’s live-action DC shows—joining the likes of Curtis Holt on Arrow or Sara Lance on Legends of Tomorrow as an important piece of LGBT representation in the CW’s superheroic output.